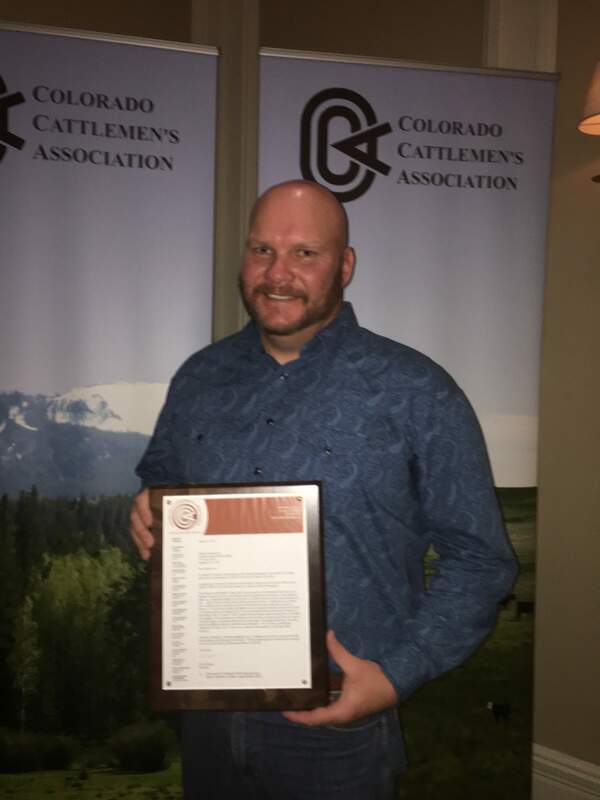 La Plata County Sheriff’s Deputy Jeremiah Lee was named Colorado Cattlemen’s Law Enforcement Officer of the Year during the organization’s Mid-Winter Meeting. I don’t know whether it’s because the La Plata-Archuleta Cattlemen’s Association writes great recommendations or if our local law enforcement agencies are more attuned to livestock issues, but for the second year in a row, a local law enforcement officer has been named the best in the state. La Plata County Sheriff’s Office Deputy Jeremiah Lee received the Colorado Cattlemen’s Law Enforcement Officer of the Year at the organization’s Mid-Winter Meeting at the end of January. While he might be considered a rookie at the Sheriff’s Office, having worked there for about a year, Lee worked in law enforcement at the Durango Police Department for 18 years before that, said Barbara Jefferies, who helped create the nomination. In 2016, Southwest Colorado brand inspector and supervisor Chad Moore was named Colorado Brand Inspector of the Year. Congratulations to Lee, who apparently has moved from a city beat to a rural beat with aplomb.